We truly believe that the men and womenwho answered our nation’s call embody the ideals Americans hold so dear.Because they have proven their devotion to their fellow citizens and to agrateful nation, we all owe them the same respect and devotion in return. 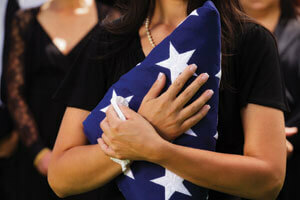 WHY DO MORE FAMILIES TRUST US TO CAREFOR THEIR VETERAN? We are known for our compassionate,caring and thoroughly professional staff, and have years of experience inplanning military services. Whether your family chooses cremation or burial, wewill be proud to take care of all the details involved.